Why Your Skin Care Should Change Seasonally? During the intermediate seasonal changes, your skin and your skin care have to work overtime to adapt to cyclical changes. Customized skin care products work all year round to provide your skin with what it needs. Humidity levels tend to drop during fall. The drier the atmosphere, the more moisture it drains out from your skin. So you’re likely to experience dryness and flaking during the chilly months. If your skin type is naturally dry, your skin might be prone to further dryness and itching. During winter, your skin has to confront changing temperatures- heated homes and chilly outdoors. The alternating temperatures influence the metabolism of the skin- disrupting the blood circulation and cell renewal process. This entire process ends up affecting the health of the epidermis, making the skin look dry and patchy, and the texture uneven. The summer season can be one of the harshest, exposing the skin to harsh UV rays, open pores, and sweat. Hydration is the key! But the skin has a hard time dealing with greasy products that can end up clogging your pores. To prevent sunburns and tanning, wear sunscreen 20 minutes before stepping outdoors. Popular to contrary belief, sunscreen should be applied every season because it prevents symptoms of anti-aging and the UV rays are present in every weather. 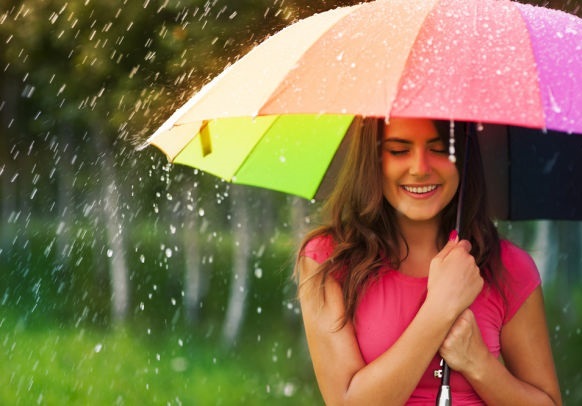 During monsoon, skin behaves a little strange- gets oily or dry and dehydrates in no time. There is an increase in humidity due to fall in temperature. An increased risk of bacterial growth and accumulation on the skin can cause breakouts and irritate your skin. Customized skin care products work around the year to provide your skin with what it needs to naturally enhance your skin's barrier. Using products that suit your skin type and simultaneously address your skin concerns during seasonal changes will help you maintain your skin's health and youthfulness for years to come.